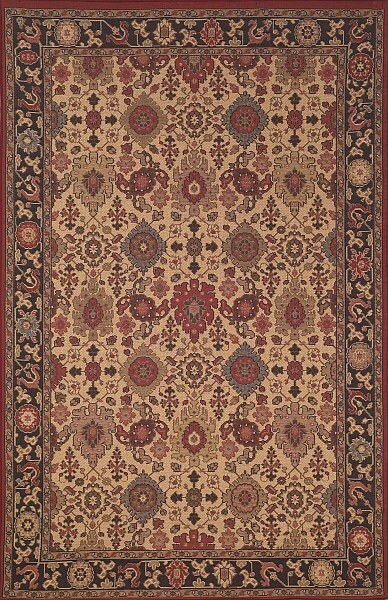 Inspired by traditional European and Persian designs, the Capri Collection brings old world elegance to modern living. The intricate detail of this LIORA pattern is paired with a unique weave. It is then invigorated with dramatic color. The collection is made of 67% Polypropylene, 28% Acrylic and 5% Viscose. This Wilton Woven rug from Belgium is suitable for both indoor and outdoor use. As part of the Everywear® group it is UV stabilized to resist fading and mildew. Kelim Ivory available in: 22in x 34in, 38in x 58in, 4ft9in x 7ft4in, 7ft8in x 9ft10in, 7ft8in round, 22in x 7ft4in runner. Price indicated below is for 22in x 34in, please select optional sizes from the drop down list.